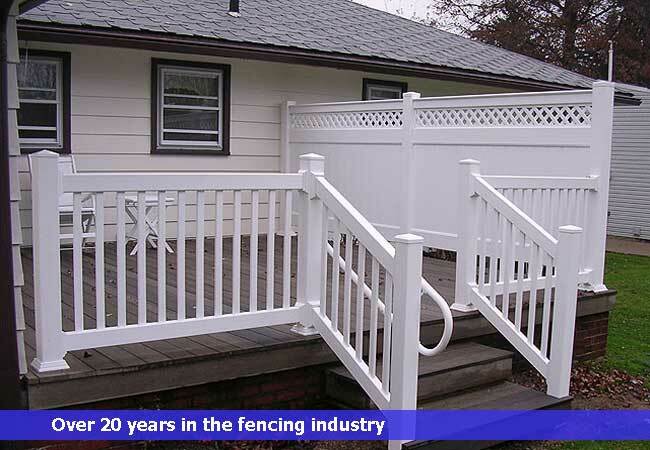 All4Fencing serving Spokane, Spokane county and the surrounding areas, installs all types of fence and designs, including privacy fence, vinyl fence, wood fence, ornamental fence and railing, repairs, and new installations. There is no job too large or small that we cannot handle. At All4Fencing we understand the importantance of new improvements around your home, and that a good quality fence will add value, security and privacy to your home or business. We will always take the time to make sure that the project is done to your satisfaction and adds appeal to your property. Whether your reason for a fence is security, privacy, boundary, safety or simply decorative, we have the fence for you and look forward to working with you. and we will work with you to help bring your design to life. 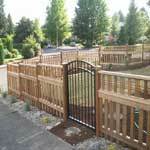 Which is Better, a Vinyl, Chain Link, Ornamental, or Wood Fence? There is no simple answer to this question except to say that the best type of fence is the one that best serves its intended purpose. 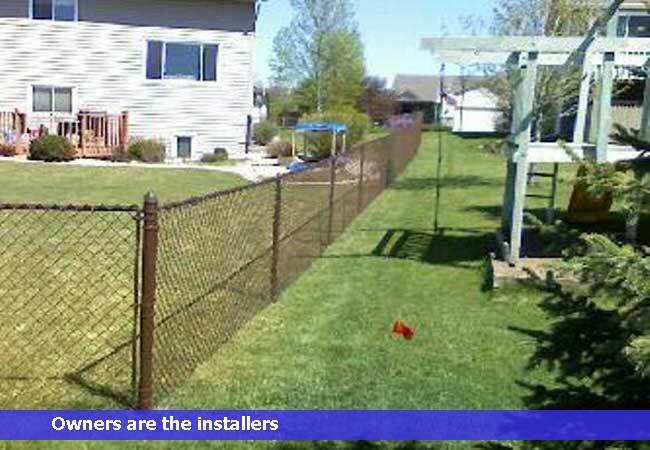 Fences are installed for a variety of reasons, ranging from safety for a pet or child to privacy or purely aesthetic purposes. Either a vinyl, chain link,ornamental, or wood fence is a viable fencing option, each with its own set of pros and cons. is both aesthetically pleasing and as maintenance-free as a fence can get. 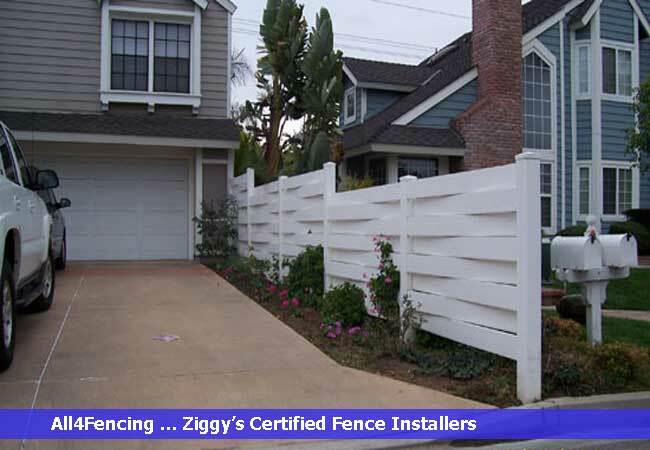 Vinyl fencing comes in a variety of styles and heights, making it an ideal choice for just about every fencing purpose. 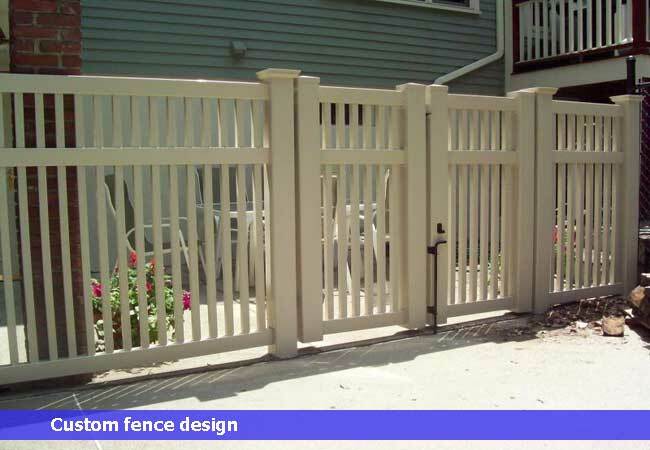 Vinyl fencing is available in different colors and widths as well. The durable construction of vinyl fencing is appealing, as is the low-maintenance aspect of vinyl – no need to paint or stain, only to wash. 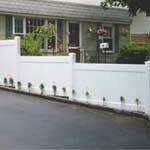 However, vinyl fencing is usually more expensive per foot than the chain link or wood alternatives. 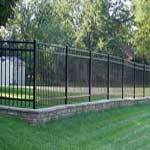 is the least expensive type of fencing, is a fairly durable fencing option, but one that is prone to rusting and pitting. However, wear and tear on a chain link fence is less obvious than wear and tear on a wood fence, and requires less maintenance. 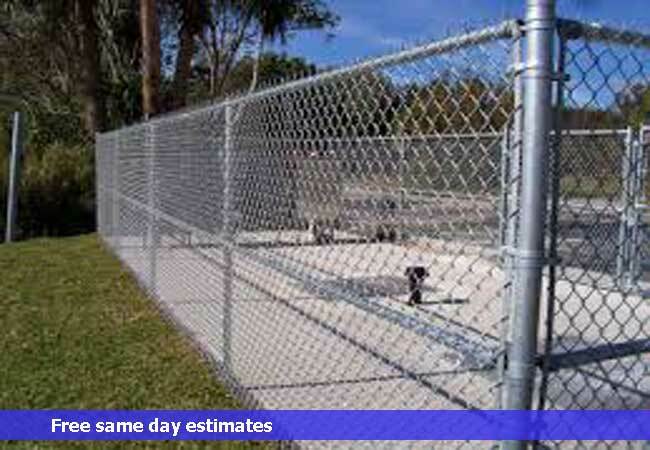 Chain link fencing is a terrific choice for limited budgets as well as situations where only temporary fencing may be required. 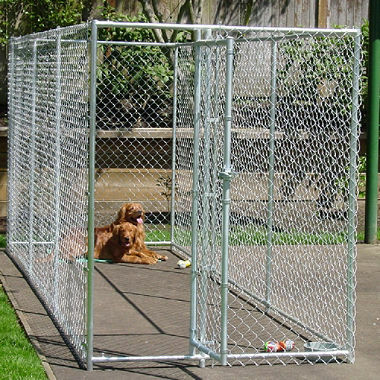 has many of the applications and attributes of chain link fencing, with a decidedly more upscale feel. 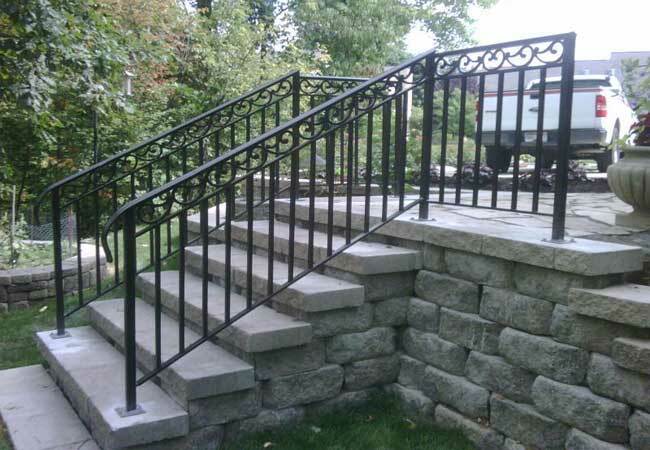 Wrought iron particularly can convey a sense of history and permanence, offer a clear view of a property, and discourage unwanted visitors all at the same time. With the classy look of traditional wrought iron panels and none of the usual upkeep they've become a very popular fence. All of this comes at a high price however, and it remains one of the pricier options available. combines aesthetics and privacy at a slightly more affordable price than vinyl. 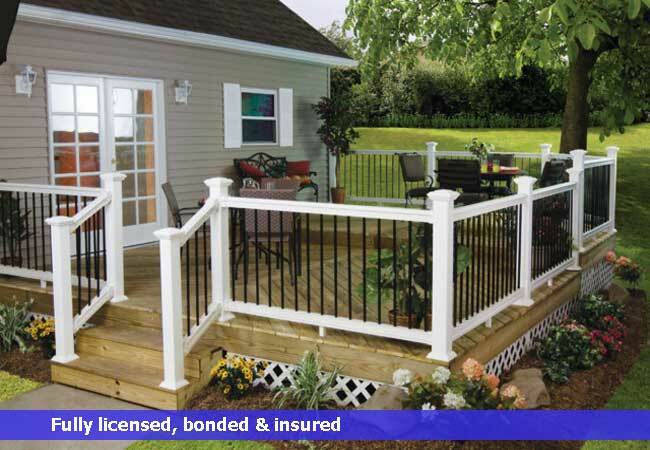 Wood fencing can be purchased in various heights and styles and can be accentuated by various post-toppers, making it possible to fence any style home accordingly. A wood fence looks nice and the natural characteristics of wood make it appealing to many homeowners. 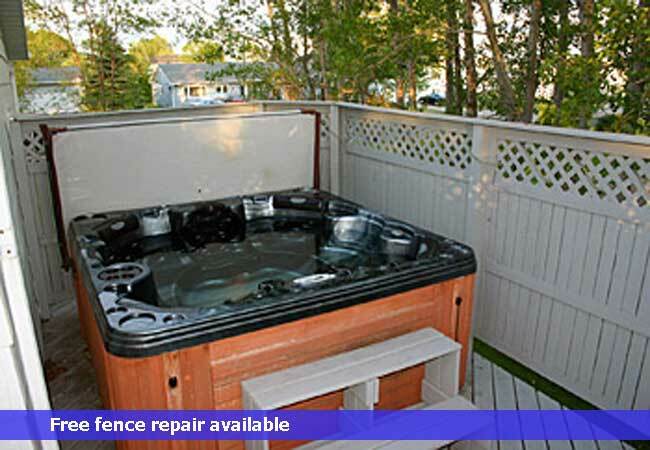 The biggest drawback to a wood fence is the maintenance. Much like a wood deck, a wood fence needs to be washed and stained every couple of years to keep it looking nice. 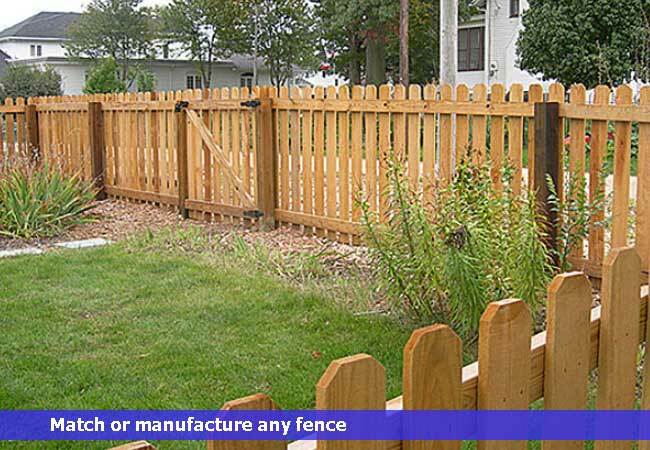 Wood fences may also rot away in places, making them less durable than vinyl and chain link fences. When choosing wood, expect a possible slight increase in homeowner’s insurance, resulting from an increased risk of fire caused by stray sparks from an outdoor fireplace, grill, or damaged power line. 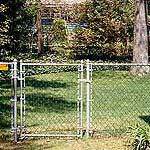 In short, choosing between a vinyl, chain link, ornamental, or wood fence is a matter of affordability and overall appearance and function. 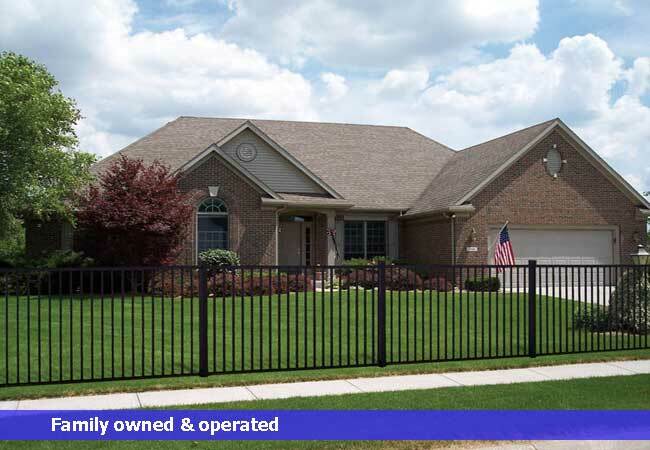 When properly installed and maintained, most any type of fence is acceptable for keeping small children and pets safe, but privacy and appearance can only be achieved through the vinyl, wood, or chain link fencing options. 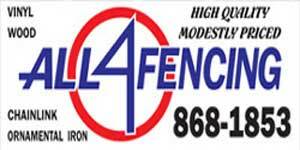 All4Fencing is licensed, bonded,and insured.